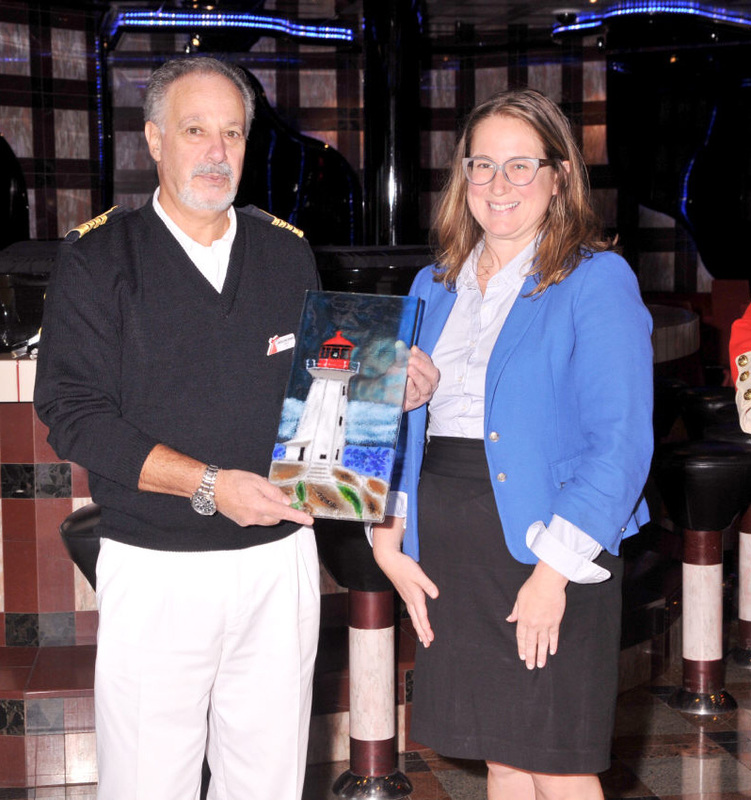 Officials from Halifax were on board the Carnival Splendor earlier this week for a reception to celebrate another successful cruise season which brought more than 20,000 visitors to the historic eastern Canadian port. 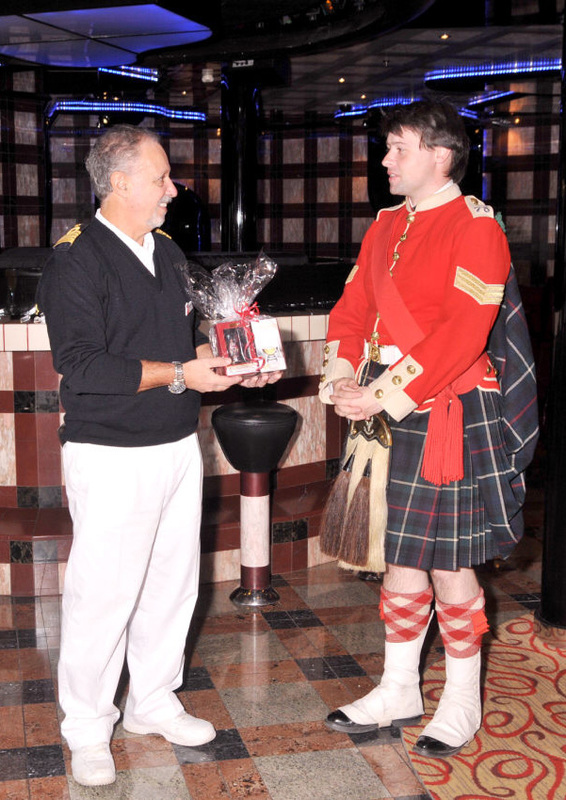 During the reception, Captain Candeloro Donato and Cruise Director Malcolm Burn were on hand to accept various mementos from Halifax officials and reciprocated with traditional maritime plaques in return. 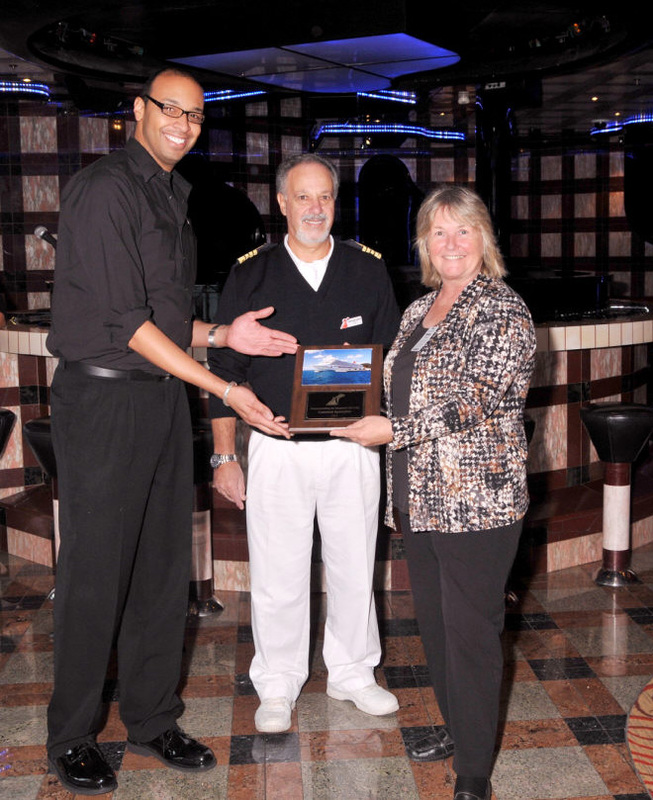 First photo: Captain Donato and Burn (center and left, respectively) present a ship’s plaque to Linda Murphy of the Nova Scotia Tourism Agency; second photo: Rebecca Bruce (right) presents a handcrafted kiln art rendering of Peggy’s Cove to Captain Donato; third photo: Captain Donato (left) accepts a whisky glass and figurine from Jordan Gracie of the Halifax Citadel Regimental Association. Halifax is a featured port on the Carnival Splendor’s seasonal five- and seven-day cruises from New York.